Many different groups apply to march in the annual GLBTGQ, etc. parade. In how many different orders can the groups march, out of the groups chosen to participate in this year’s parade? 1 If the number of groups that will be chosen to march is half of the groups that apply to march, 252 different groups of groups could be chosen to march. 2 If all the groups that applied to march were chosen to march, the groups could march in 3,628,800 orders. This DS question is oddly worded (the Official GMAT would be much clearer with the "intent" of the question). I assume that the groups will march in "single file" (one after the next), that there are no other "factors" in how they can be arranged (parade floats, cars, etc. that might appear in a parade) and that it's possible that not all of the groups who APPLY to march in the parade will be allowed to march in the parade. From a math standpoint, you'll need to understand how permutations and combinations "work" to answer this question. We're asked for the number of different ORDERS that an unknown number of groups could march in (in a parade). To answer this question, we need to know the number of groups that were CHOSEN to march in the parade. Fact 1: If HALF the groups who apply are chosen to march, then 252 different sets of groups could be chosen to march. As "ugly" as this looks, it is just 1 variable in 1 equation, so you CAN solve for N (and by extension, K). This will tell you the number of groups that were chosen. From a practical standpoint, here's how you can "find" the actual value. 10!/5!5! = (10)(9)(8)(7)(6)/(5)(4)(3)(2)(1) = 252 which is an EXACT MATCH. This tells us that 10 groups APPLY and 5 are CHOSEN. Fact 2: If ALL the groups who APPLY were CHOSEN, then there would be 3,628,800 orders. However, we won't know anything about the number that were CHOSEN, so there's no way to answer the question. I agree with your explanation on Fact 1.
fact 2 states that if ALL the groups who APPLY were CHOSEN, there would be 3,628,800 orders. Doesn't this statement already sufficiently answer the question? Q: how many different orders can the chosen group march? A: there would be 3,628,800 orders. Why do we need to find out the number of CHOSEN (the N value) to answer the question? why do you say that we don't know anything about the number that were CHOSEN? Isn't value of N = number that were CHOSEN? In DS prompts, the question that you're ASKED to answer is always at the top (in the prompt, above the 2 Facts). Here, we're asked..... of the groups CHOSEN to march (from however many APPLY), how many different orders are there? Fact 2 gives us a hypothetical (notice the word "IF....". From this hypothetical, we can figure out the number of groups who APPLIED to march in the parade (it's 10), but this Fact does NOT tell us how many were CHOSEN to march in the parade. Without THAT information, we cannot answer the question that was ASKED. As such, Fact 2 is INSUFFICIENT. It is hard to figure out the intent of the question maker but as it stands, the answer here will be (E). Question: In how many different orders can the groups march, out of the groups chosen to participate in this year’s parade? What we need is the number of groups chosen to participate in the march. Say the number of groups chosen is N. Then they can be arranged and can march in N! ways. Both the statements are conditional statements - neither gives us the actual number of groups chosen or the number of groups that will be chosen. They both say "If number of groups that will be chosen is half ...", "If all the groups were chosen...". Both statements independently give us that the total number of groups that applied is 10. But neither statement tells us exactly how many groups were chosen. Both give only conditional information. If half are chosen, then they can be ordered in 5! ways. If all are chosen, they can be ordered in 10! ways. Both would lead to different answers. Both statements give hypothetical information though I don't like the way they express that in statement I.
Karishma offers an interesting perspective. I noted earlier that the prompt was oddly worded, but Fact 1 also has a bit of "interpretive bias" to it. Karishma reads Fact 1 as entirely hypothetical, so by her measure nothing can be determined and Fact 1 is insufficient. I read it as the "half that are chosen" is a 'locked in' fact which, when combined with the information about 252 groups being chosen, can be used to figure out the number who apply and the number who are chosen. From a technical standpoint, either view could be considered correct. 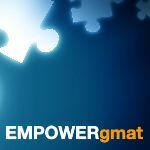 Thankfully, the GMAT words its questions very carefully, so that this type of interpretative bias can't occur. This is a really tricky one. I would propose to change O.A. to D in the end. I agree with the given answer choice (and my explanation for why appears above). This question is certainly open to interpretation though - thankfully, the GMAT writers are far more rigorous and detail-oriented about how they write the questions that you'll face on Test Day. In both the cases n turns out to be 10. I agree with Karishma - both statements use the same sentence structure ("If this many groups are chosen... this is true") so they're both equally hypothetical. Neither statement tells you how many groups are actually chosen, which is information you'd presumably need. Regardless, it's not a well-written or well-designed question, so test takers should ignore it. I stand corrected. I read the question again and realized that it was not asking for the number of groups applied. Thank you. I don't think that question asks for the number of groups that existed or the number of groups that were selected or anything like that. It asks for the number of ways these groups could be arranged (the selected group arrangements). In how many different orders can the groups march, out of the groups chosen to participate in this year’s parade? B clearly gives you the value. Why do we care what N or K is? carcass or pushpitkc could you please modify the OA?